This course explores some of Unity’s fundamental Principles as well as the highest form of mind action, prayer. Students will be encouraged to awaken your awareness and understanding of spiritual Truth in order to employ it in your everyday life. Articulate and use Unity’s affirmative prayer process. Explain the significance of the Silence and meditation and their relationship to each other. Compare Unity’s view and the traditional view of Divine Purpose, Will, Plan, and Guidance. Illustrate some of the key aspects and process of building Christ Consciousness. Differentiate the Absolute Realm (the Absolute) from the relative realm (the relative) including the analysis of Cause and Effect/cause and effect. Explain the essential Unity concept, “life is consciousness,” and its relationship to self-awareness and self-knowledge. Hasselbeck, Paul. Heart-Centered Metaphysics. Unity Village, MO: Unity House. 2010. Hasselbeck, Paul and Holton, Cher. 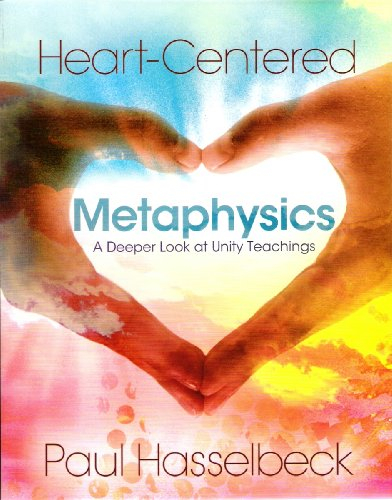 Heart-Centered Metaphysics Workbook. Unity Village, MO: Unity Books. 2012.